Kelly Olshan is a NYC-based artist and arts manager whose sculptural paintings depict the byproducts of ambition. 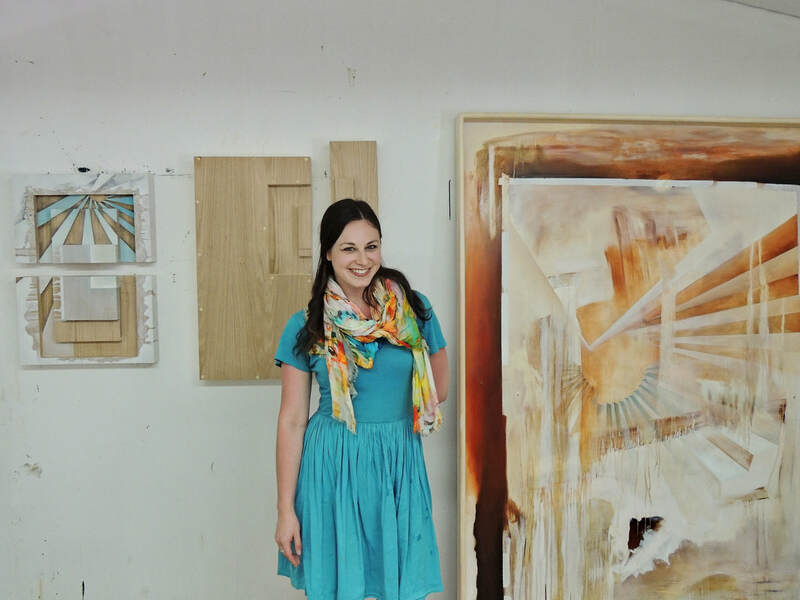 She graduated Valedictorian from UNC Asheville with a BFA in painting, and went on to receive her master’s in Arts Administration from Columbia University. Her work has been exhibited nationally, most recently in a solo exhibition entitled Reimagined Landscapes at Sean Christopher Gallery in Columbus, Ohio, as well as three-person exhibition Memory Palace at Equity Gallery in New York, New York. Upcoming exhibitions include two solo exhibitions: Ambition and Anxiety at Yashar Gallery in Brooklyn, New York in August 2019, and Try at Ground Floor Contemporary in Birmingham, Alabama in January 2020. As an arts administrator, she’s passionate about providing fiscal and professional development resources for creative practitioners. Previous positions include programming and publishing roles at arts institutions such as Americans for the Arts, Creative Capital, Art21, and ArtForum; she currently serves as a Program Manager for Queens Council on the Arts, where she oversees the organization’s Artist Commissioning Program and visual arts portfolio development program. All works are available for purchase unless otherwise indicated. Price upon request; contact the artist for all inquiries.